ALONG with his writing partner Ray Galton, Alan Simpson – who passed away last week – gifted us some of the greatest radio and TV comedy ever. Timeless and perfectly formed wireless and small screen game-changers like Steptoe & Son and Hancock’s Half Hour flowed from the pens of that dynamic duo with almost unnatural ease in the 1960s. 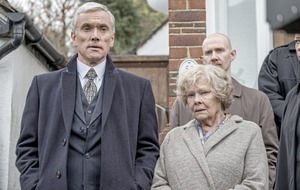 Sharp, satirical and seriously funny, their finest work set the benchmark for situation comedy that few British series have come close to touching since. 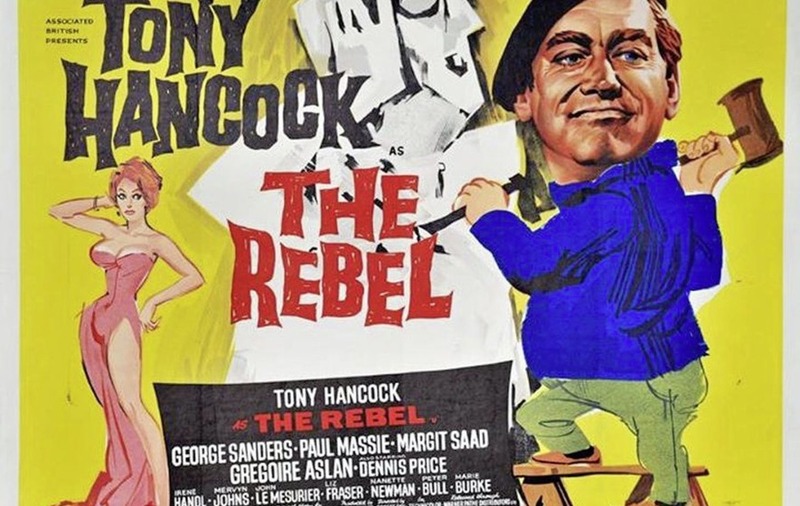 On film, their work was less well received – although with The Rebel I would argue they crafted the finest Brit comedy ever. Released in 1961 and starring their old sitcom king, Anthony Hancock Esq, it's a beautifully observed social comedy and possibly the most focussed demolition of the pretensions that underpin the art world ever committed to celluloid. Packed with pertinent one liners about the impossible-to-predict world of modern art – "That’s got to be worth 2000 of anyone's money," sneers our leading man at one point, shortly after knocking out another infantile piece of rubbish – it's a colourful tale told with real style and comic timing. Hancock is a depressed office drone trapped in a world of inner city 9 to 5 misery. A nonconformist by nature, whose rebellion mostly consists of hanging his umbrella the opposite way round from his fellow white collar workers, he decides to chuck it all in and sets off to Paris to make a name for himself as an avant-garde artist. The fact that he is utterly talentless doesn’t deter him from making his decision of course. In Paris, he falls in with a gifted but disillusioned young artist called Paul Ashby (Paul Massey) who takes him into his bohemian world and before he's got time to get his easel straight he's cycling through giant paint-splattered canvasses to make crazy action paintings and casually tossing off landscapes that look like the work of a distressed five-year-old. When a noted art dealer Sir Charles Brewer (played with sniffy superiority by the great George Sanders) arrives on the scene and mistakes Paul's work for Hancock's, our moody main man becomes an instant star. 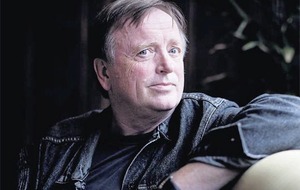 The money starts flowing and the pompous, preening, self-obsessed side of Hancock's character, something that always surfaced in the best of the radio and TV stuff, starts to spiral wildly out of control. Only trouble is, he's then expected to provide more work for his first big London exhibition. 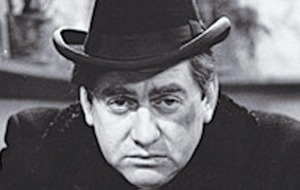 Directed by Robert Day, whose other credits include the masterful Peter Sellers crime classic Two Way Stretch (1960), it fizzes along at a natty pace with Hancock delivering Galton and Simpson’s acerbic lines like the world-weary melancholy genius he was. The merciless ribbing of the art world is beautifully judged throughout – from the shades wearing black-clad beatniks who create the work to the clueless snobs who often consume it – and there are laugh out loud moments aplenty. Shortly after the film’s release, Hancock would sever his working relationship with the writers forever and his career would nose-dive accordingly, leading up to his tragic suicide in 1968. As a document of a unique comic actor railing against the hypocrisy of the modern world as he sees it, The Rebel remains absolutely priceless – and as an example of the peerless writing of Ray Galton and Alan Simpson, it's just about perfect.